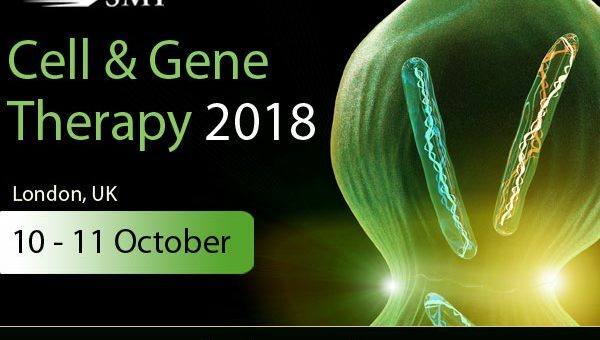 SMi Group are delighted to welcome expertise from a senior panel of big pharma and biotech organisations and regulatory bodies, at the most talked about conference on Cell & Gene Therapy 2018 launching this October in the City of London, UK. The conference will be led by scientists and clinicians researching, developing and testing new treatments for genetically inherited and acquired diseases, using gene delivery technology, stem cell manipulation and DNA repair techniques. Hear from the MHRA, Cell and Gene Therapy Catapult, Adverum Biotech, AstraZeneca, UCL and more! PLUS…Two Interactive Half-Day Post-Conference Workshops – Hosted by LucidQuest and Advanced Therapies Consultancy. For those looking to attend there is currently a £400 early-bird saving, ending May 31st.